Home › Current News › Ricky Zero of The Silvers Checks In! Ricky Zero of The Silvers Checks In! Throughout most of the recording of The Silvers’ debut album, “After The Laughter,” the other guys and I have each been recording in our own cities, then sending our recorded tracks to our engineer, Kevin, in South Carolina. This past weekend, I had a show in South Carolina with one of my other bands, Radio Cult. The show was only about an hour away from Kevin’s place and he graciously set aside a good part of the day to let me set up a session with him at his amazing studio! 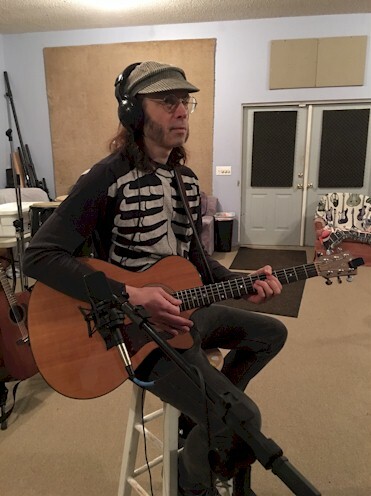 The timing couldn’t have been better because we are down to the wire on getting the tracks done for the album and recording with a great engineer like Kevin is much faster than recording on my own. The songs are definitely sounding great at this point and we can’t wait for everyone to hear them! Look for “After The Laughter” to be released on Genterine Records in March! As always, thanks for listening!